On behalf of the congregation, I want to extend to you a very special and warm welcome to Christ Church. We are delighted that you are interested in learning more about our vision and work, and we hope that you find this website helpful in becoming better acquainted with us. 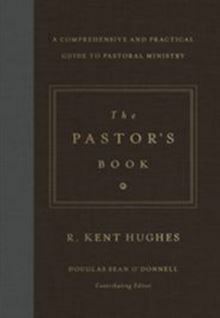 Christ Church pastor, Dr. Robert Evans, joins Dr. Kent Hughes, Douglas Sean O’Donnell, and Dr. Leland Ryken in writing The Pastor’s Book (Crossway, Now Available, 608 pages, hardcover). This practical book is a comprehensive guide to nearly every facet of pastoral ministry, including pastoral counseling, hospital visitations, funerals, weddings, the sacraments, holiday services, and congregational music, and more. Christian thought and experience, Christ Church is intended to help meet the growing need for biblically grounded, theologically informed, graciously expressed, and practically applied preaching, instruction, and ministries that challenge the mind, encourage the heart, and nourish the faith. Believing that nominal faith and spiritual apathy are unimaginable in a church called and established according to God’s design and for His purposes, you will find at Christ Church a loving, gracious, and vibrant people who are convinced that God is knowable and, therefore, that the Christian faith is vital and personal. We invite you to come and be our guest, to know God in both your heart and mind, and to experience the sweet love, peace, and joy that is available to us in our life in Christ. Welcome to Christ Church!